​Here is our new video! 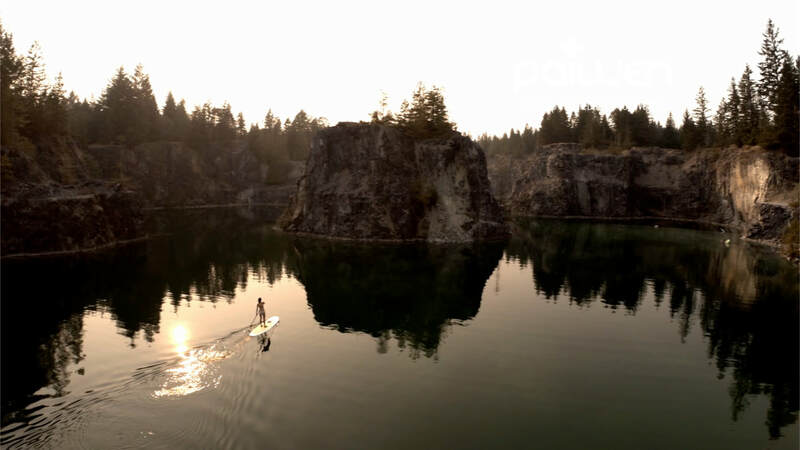 ​Our objective was to make a little paddleboarding video that makes you feel good. The simple side of paddleboarding. It seems like everywhere we turn, new love is blossoming on Paiwen boards! 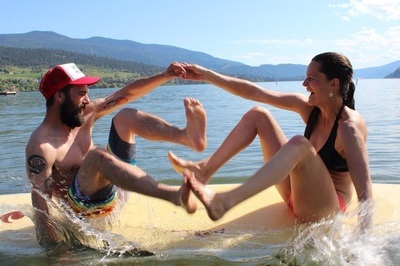 Maybe it’s because paddling brings people closer together, it makes for a great first date, or the boards are just so darn pretty. Which is why so many boyfriends and husbands are gifting them to their girlfriends wives and earning major brownie points. Whatever the reason, Paiwen is spreading the love! Here is a small collection of photos of Paiwen love birds. Congratulations to the beautiful @katelayte and her new hubby for this gorgeous photo. 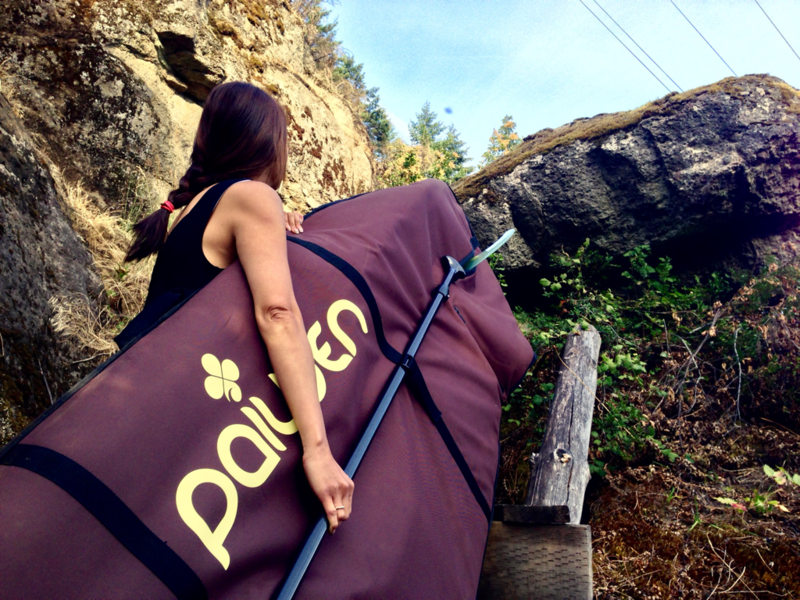 ​And here is where it all started, Paiwen Founder, Alice with her main squeeze, Toni, getting cozy in the Paiwen sack. 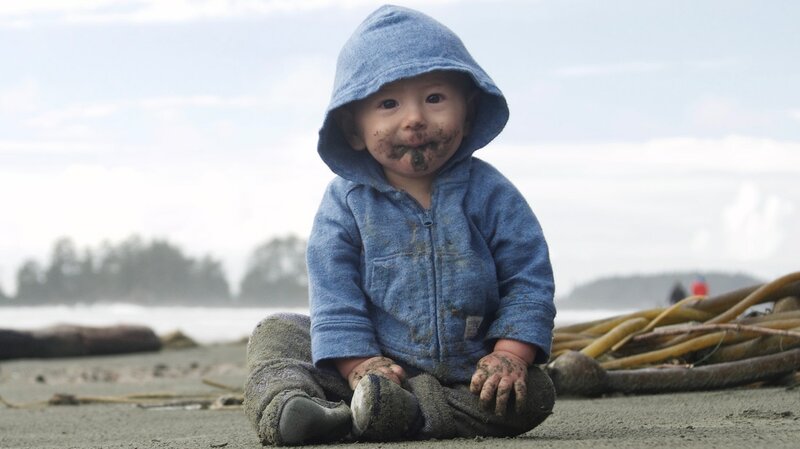 ​Low and behold, a Paiwen baby is born! ​Have you got a story of Paiwen romance to tell? ​Please share it with us! 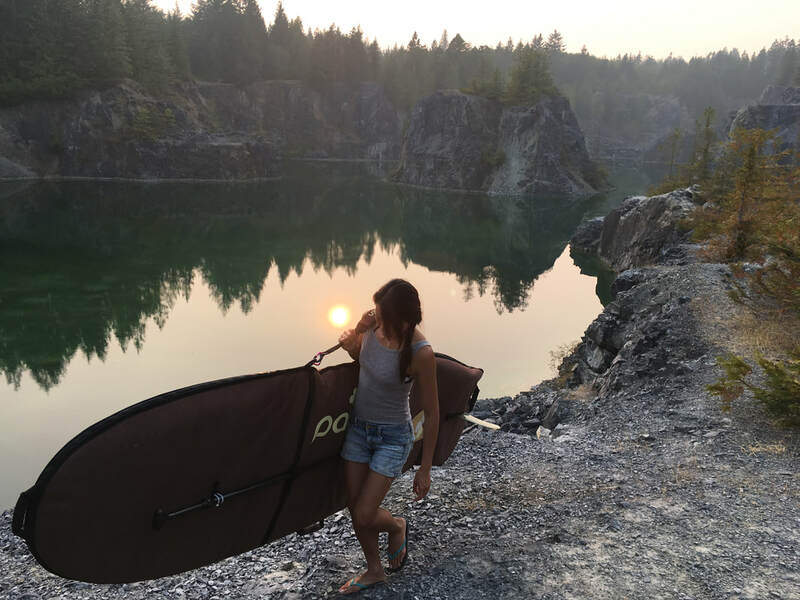 Email your story with photos to info@paiwenpaddleboards.com. 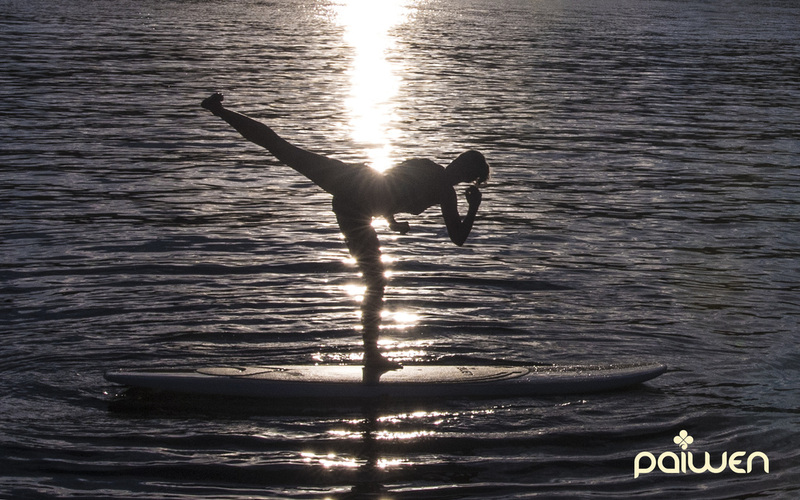 ​What happens when you combine Kickboxing and Stand Up Paddleboarding? ​A sore Kristi and a beautiful picture. 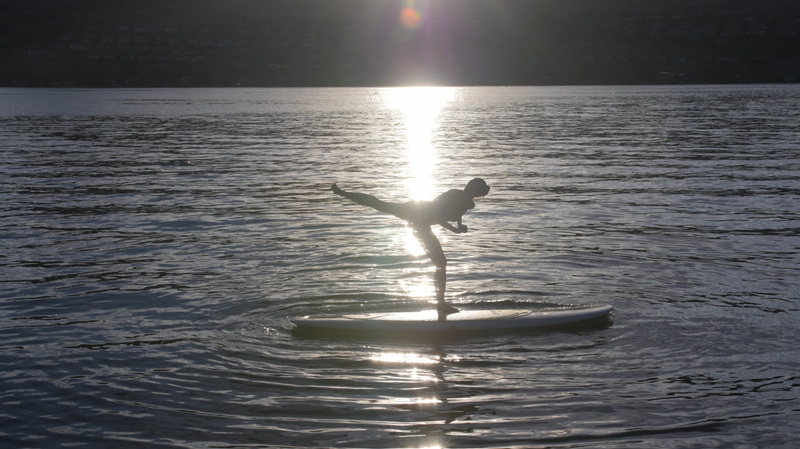 Kristi lands a solid back kick on her Paiwen paddleboard. But it took patience and practice to pull it off. Next time you’re on your Paiwen try one for yourself. We are so fortunate to live in a town that has a beautiful bird sanctuary for many species of birds to call home. The other morning we decided to adventure out on our Paiwen Stand Up Paddle (SUP) Boards and see the wildlife from a different view with the kids. 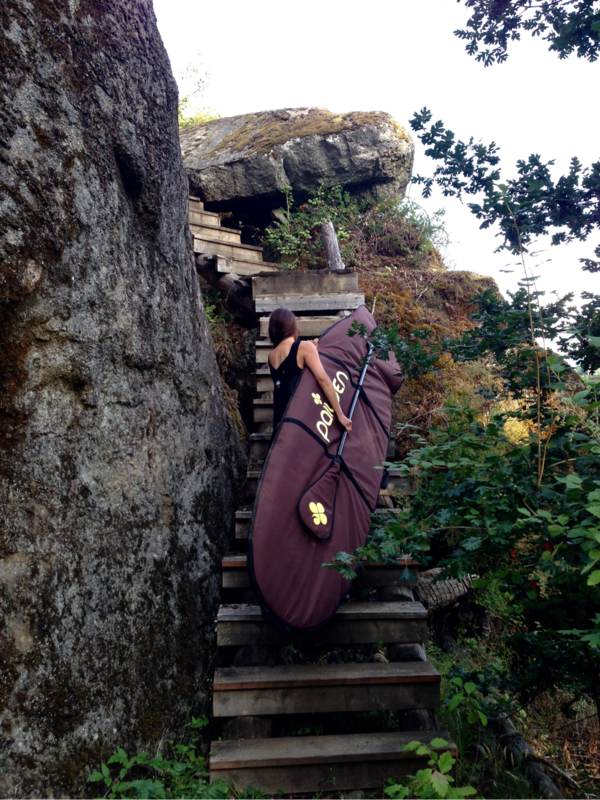 Loaded with one kid on each board, and an extra kayak for our oldest, we made our way over to 'Bird Island'. With the early summer floods in effect we were able to skim over the trail and see all sorts of animals from deer, turtles, huge carp and many birds like eagles, hawks and blue herons! 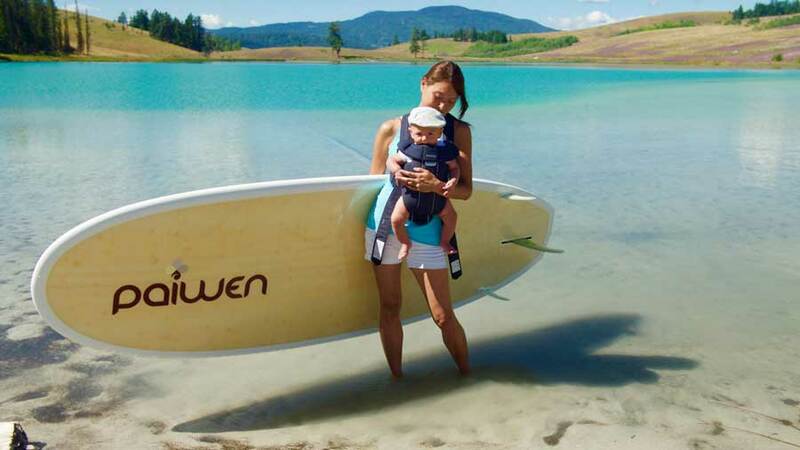 Kate on her Paiwen with her son, Liam, on Shuswap Lake near Salmon Arm, BC, spotting a deer on shore. The beauty of being quiet on our Paddleboards allowed us to get super close to so many animals! Such a beautiful day and lovely little adventure! We decided to catch up with Tim Mei, Paiwen Girl and Taiwanese SUP Surfer, for a few SUP surfing tips from the pro herself! was inspired by her love of long boarding. She started competing in local Taiwan surf competitions, and has since pursued her dream of surfing internationally. hard to follow her ambitious dream, and with help from her family and friends, has achieved solid success in her chosen path in life. 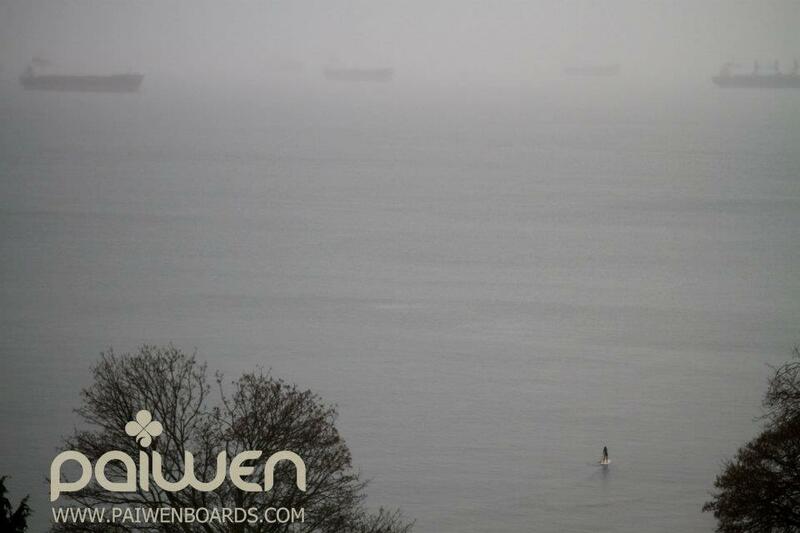 Paiwen: Can you give us three tips for people who are new to SUP surfing? 1) Pick the right gear for you and use it properly! 2) Practice makes perfect. Start in a clam water, practice basics until you feel comfortable. 3) Fall off your board the right way, like a starfish, and make sure you clear the board - safety first. 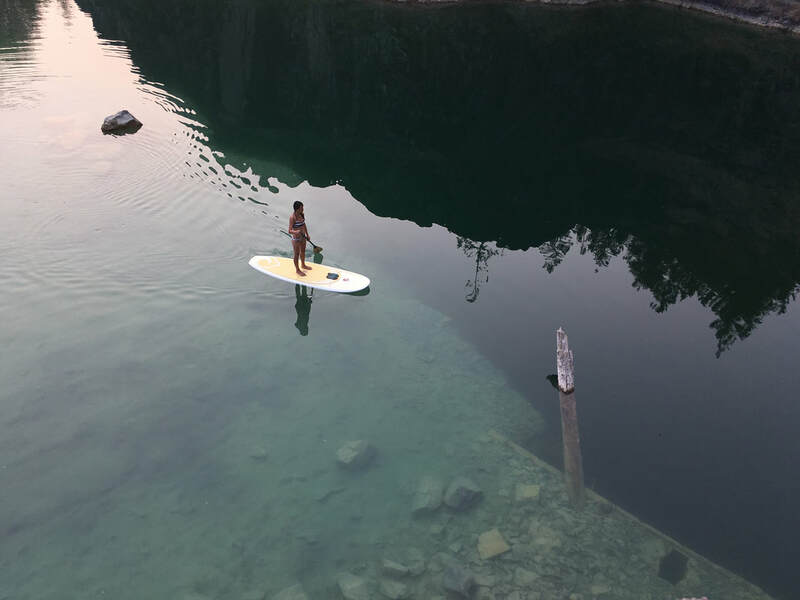 Do not dive head first! 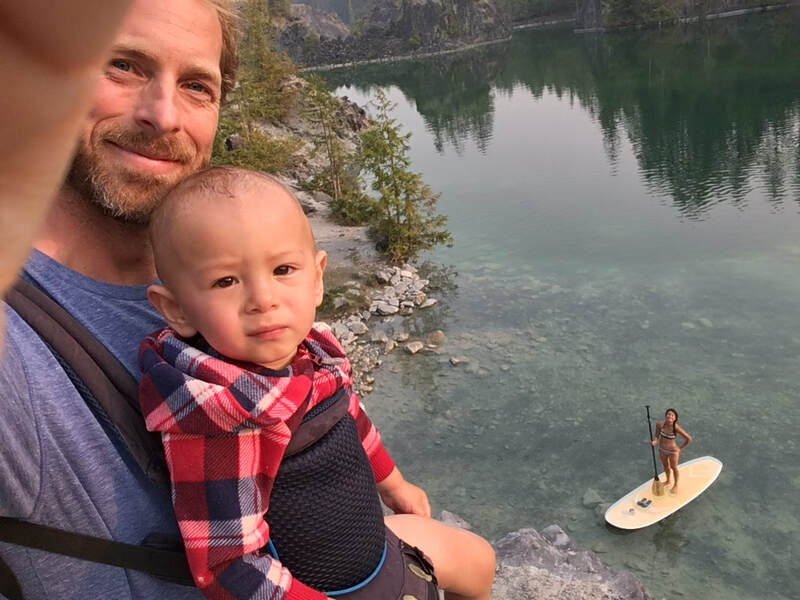 Paiwen: In Stand Up Paddling, as in any sport, there are often common mistakes that you see newer SUP surfers make - what are these, and what is your suggestion for correcting these mistake? 1) People who go out without a lesson! It’s always better if you learn things from experts or experienced people because they will teach you the right way of doing it. So my first suggestion is to take a lesson rather than going in blind. 2) Keeping your eye on the board. Instead of looking at your board, look where you want to go - this will help you balance while you ride the wave. 3) People who don't respect others in the surf. Always stay out of the way and take turns. If you don’t want someone to get in your way while you are riding a wave, then don’t get in their way either! Bottom line: share the ocean! For more on surfing etiquette, check out Surfline’s Bill of Left and Rights. 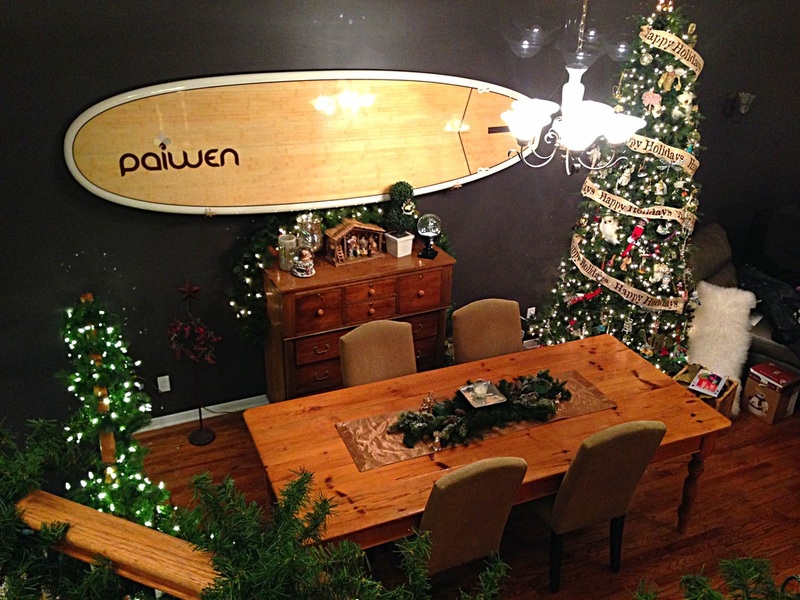 Happy SUP surfing, from the Paiwen family! ​With 2016 is upon, we asked some of our Paiwen Girl Ambassadors for healthy lifestyle tips for the new year. 1. As we take down tree decorations, and clean up the house after the holiday season, it is good to set a little routine that keeps us grounded and centered after the parties and chaos. Try practicing these yoga postures at home in your living room to keep you feeling clam and collected, even after Christmas is over! From left to right, Handstand against the wall, Tadasana or Mountain pose, supine Spinal Twist; Prayer Twist; legs up against the wall in a supine position; Savasana or Corpse Pose. 3. Watch your social media consumption. Don't compare your life with all the picture perfect holiday posts. Live YOUR life. 4. 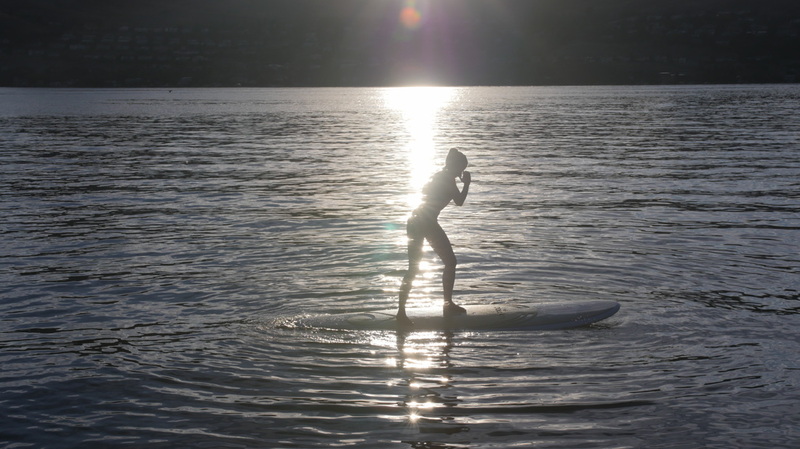 If you live in a more temperate or tropical climate at this time of year, get out on your paddleboard and try some of these exercises for a workout on the water! 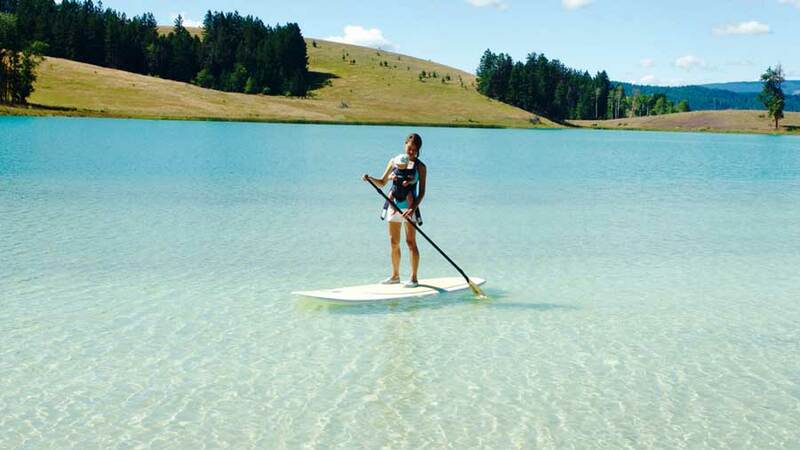 SUP Fitness Video With Alison Calder. 5. Don’t get caught up in post-holiday “penance”. So many of us feel guilty about all the food and drinks we have indulged in to celebrate the season - but it doesn't mean we have to punish ourselves by going on some kind of “cleanse” or celebrity fad diet that isn’t sustainable in the long-run. There is little scientific evidence to suggest that we need to “cleanse” our bodies; but this doesn’t absolve us from cultivating healthy habits either. Small and simple healthy habits everyday can lead to improving health and fitness; balanced meals, healthy snacks, watching your portions and alcohol consumption throughout the week, exercise regularly, turn off your electronics by 10 pm - get eight hours of sleep per night. 6. Move everyday. If you can’t get to your workout everyday, just make sure to move in whatever way you can - walk everywhere, do 15 minutes of yoga at home, or do a 12 minute High Intensity Interval Training (HIIT) workout at home. Ride your bike to your appointments. It all adds up. Just keep moving! But by the same token, know when to rest! Overplaying and overtraining and also keep you from attaining the results you are looking for! 7. 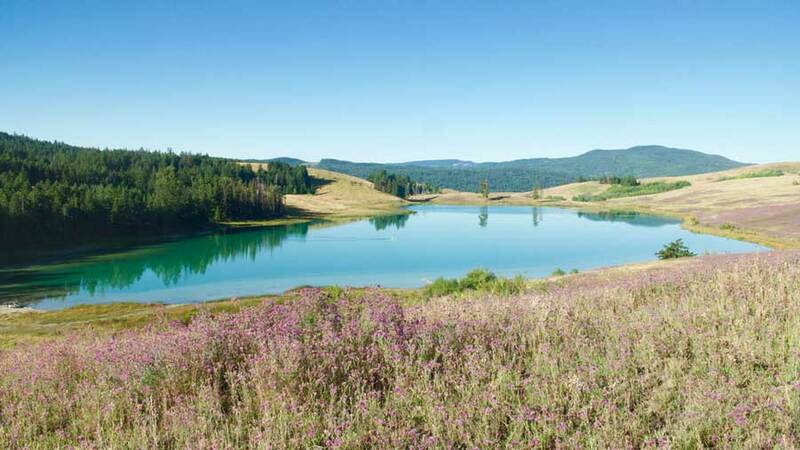 For those of you living in BC’s temperate Lower Mainland climate, get out on the water for a paddle on a sunny day. 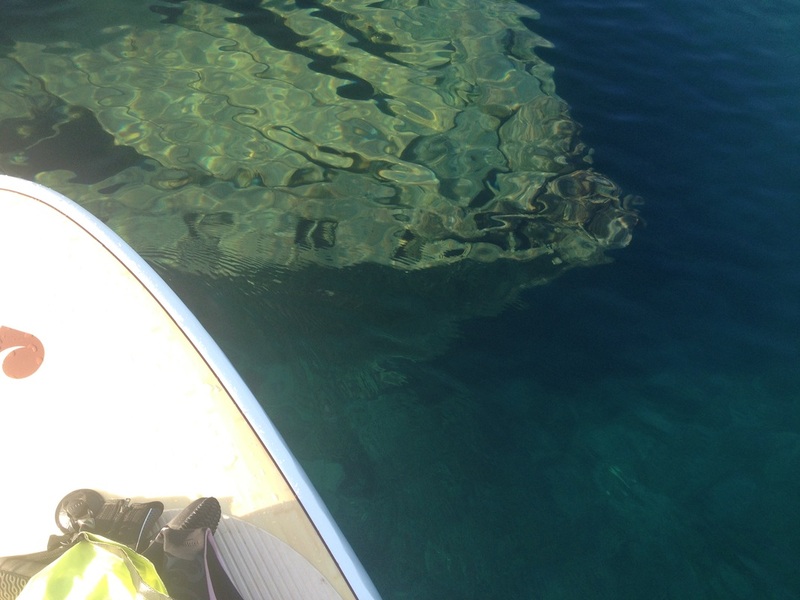 In the winter, we can forget about how good it feels to be near the water; just grab your neoprene and go! If you can’t get out to paddle, go to a local pool, go for a swim, or sit in a hot tub - there are many proven health benefits to being in, near or close to the water. Some local community centres even offer indoor SUP Yoga classes. 8. Do the "excited test". For many, the New Year will bring new opportunities and new decisions. When faced with new decisions, we can sometimes feel conflicted between what we want and what we think we ought to do. Take a moment and ask yourself: “Am I excited about this?” If not, then re-consider whether the opportunity is really right for you. 9. Finally, have fun, look for new adventures, play, make mistakes and seize the day! Happy New Year from the Paiwen Girl family! Like what you see? 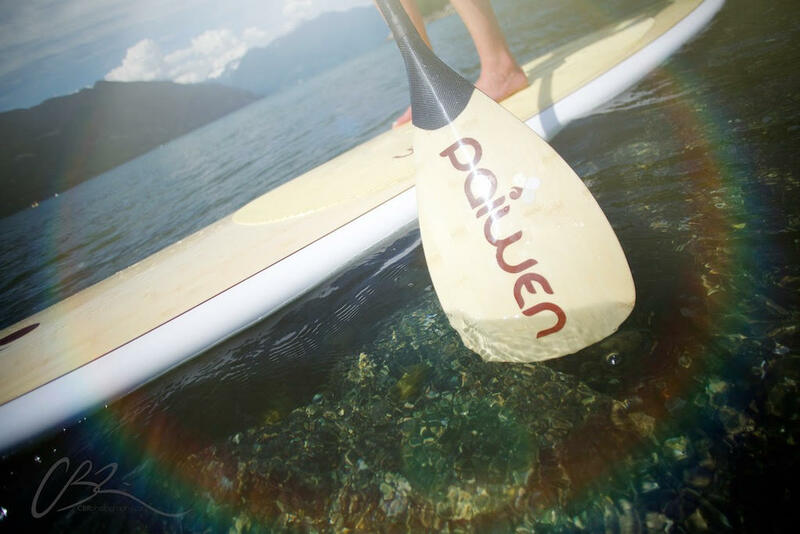 Subscribe to our newsletter mailing list in the sidebar and receive news, adventure, paddling and wellness tips from the Paiwen paddling community! As we decorate the tree, light up the house and clean up for friends and family around the holiday season, it's good to set a little routine that keeps us grounded and centred amidst the holiday chaos. Try practicing these yoga postures to keep you feeling calm and collected this Christmas! 1. Need energy? Flow through a Sun Salutation or two, or get upside down… A headstand, handstand, wheel, or waterfall will do the trick! 2. Need to get through a tough conversation with a relative or colleague? Stand in Tadasana just rest your arms so you don’t look stiff - ha-ha! Mountain pose (Tadasana) is a grounded, strong position that allows us to feel connected to ourselves and others. 3. Too many sweets? Try a twist lying on your back for a gentle approach or a standing variation pose like Utkatasana (Chair Pose with a twist!) This will twist your spine and help to wring out unwanted toxins! 4. Need to calm down after your Christmas party? Lie down with your legs up the wall and place one hand on your chest and one hand on your belly. Slowly notice the rise and fall of your hands as you begin to deepen your breath. 5. Trouble falling asleep after the big day? Lie down on your back (preferably in bed) in Savasana or Corpse pose. Start by tightening every single muscle in your body one by one from the crown of your head to your toes. Then release the tension starting at your toes all the way back up your body until you soften the crown of your head. Go slow and try to picture each body part along the journey. ​Keep calm, and paddle on! Happy holidays! 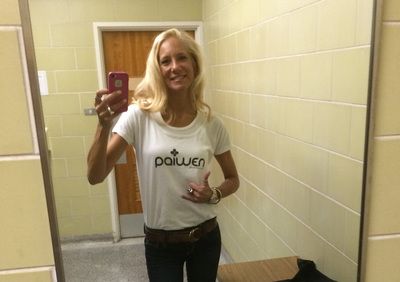 Kate Watson is on the Paiwen Girl Paddleboard Team and is Co-Founder and Co-Owner of Neumovement, a wellness community inspired by integrating movement practitioners, instructors and modalities to heal your body, mind and spirit. We made this short SUP video so you could get a feel for who we are. 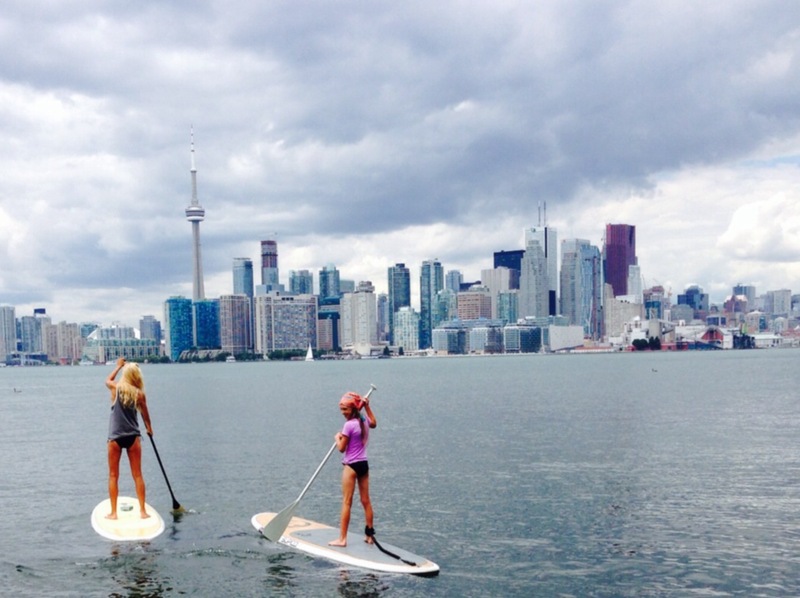 Have you ever tried to describe paddle boarding to a friend? It is pretty difficult to do. 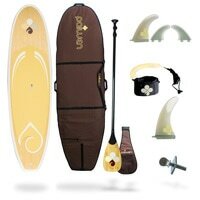 In the end, the best way to explain SUPing is to get people on the water and try it for themselves. That’s when things will start to make sense, that’s when it “clicks”. Here's a short film featuring one woman's story on why she SUPs. 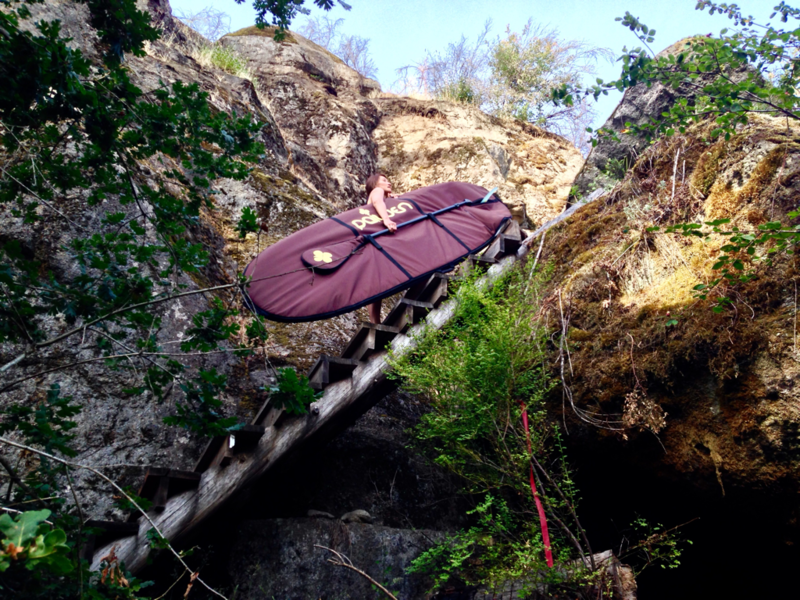 Q: How did you get introduced to SUPing? A: I first stepped onto a paddle board about 4-5 years ago on Lake Champlain in Vermont. I really started to get into paddling over two years ago. I grew up kayaking and sailing, and I like to surf, (or at least try to), so I loved the ability to stand on the board and paddle and the vantage point it gives you above the water, the full body workout, and the sense of freedom and peace that comes with it. It really is a great and fun way to travel and explore. 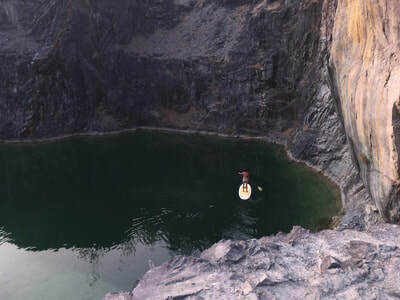 Q: Tell me about your most epic SUP adventure. 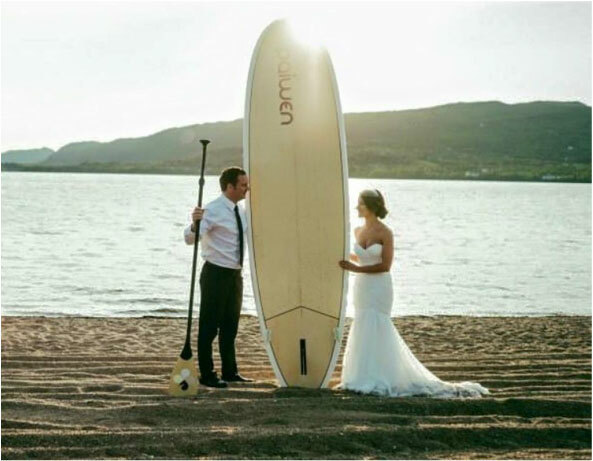 A: My husband and I have gone on some fun SUP missions. 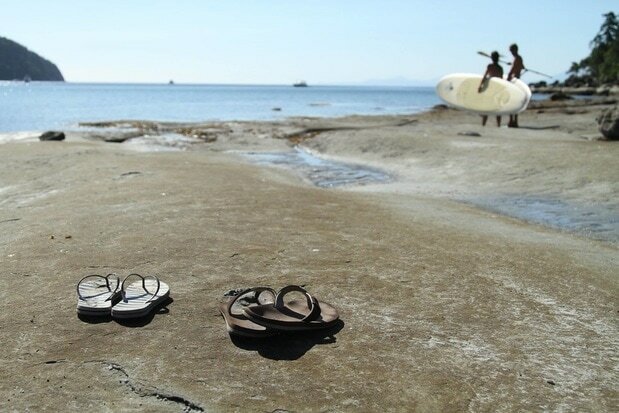 One fun paddle that stands out in my mind was our little adventure over to Thormanby Island on the Sunshine Coast. We paddled across the Strait in the morning from Secret Cove, paddled around the island along its white sand beaches and stopped to picnic looking out at snow-capped mountains. So beautiful. We paddled back in the late afternoon and the wind and chop had picked up. We also had to contend with boat traffic crossing the Strait. As we set off, we passed a rock with about 30 seals resting on it. 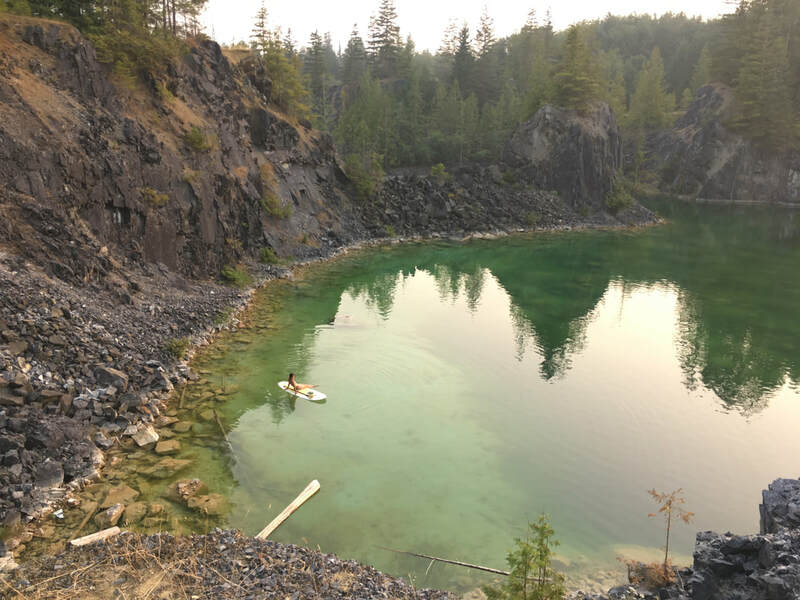 It felt like a quintessential B.C. adventure. 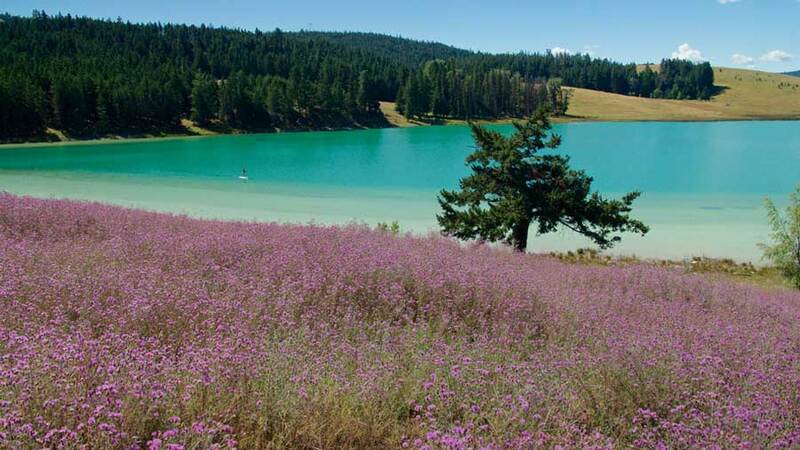 Q: What are your favorite places to paddle? A: My new "home" launch spot just outside of Deep Cove along Indian Arm is really beautiful. You can't beat the views in this Fjord! Grice Bay just outside of Tofino is great. It is really hard to choose a favorite spot, there are so many beautiful places to paddle in B.C. 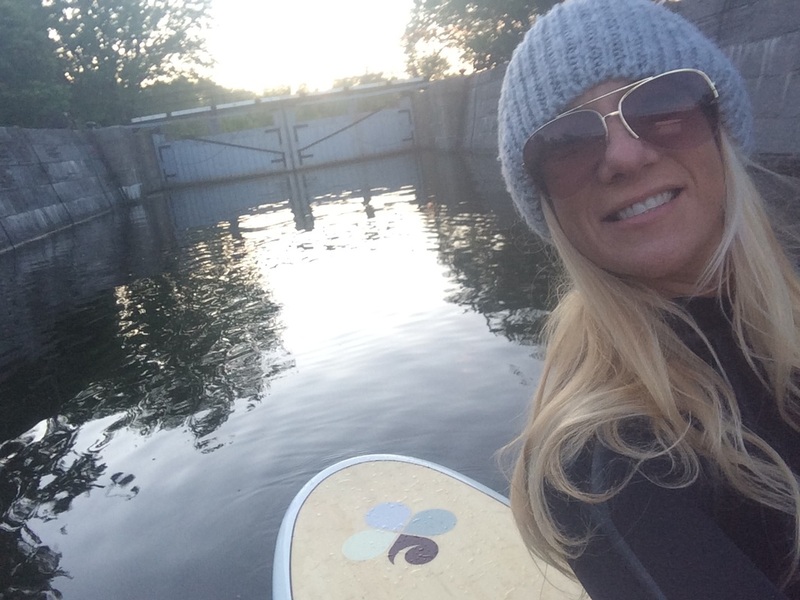 Q: What are your secrets for balancing work and play (paddle time)? A: I try as much as possible to make hay while the sun shines. Paddling in a bikini in B.C. is unfortunately not a year round thing, so I like to take advantage of our beautiful summers to play and paddle as much as possible before the wetsuit comes back on. As far as work goes, I think we can all get really busy in our day to day lives, but we need to know when it's time to turn it off. When we grow old and sit on the porch in our rocking chairs, we're going to need those memories to look back on. So I think it's important to try and create as many of those memories as you can. 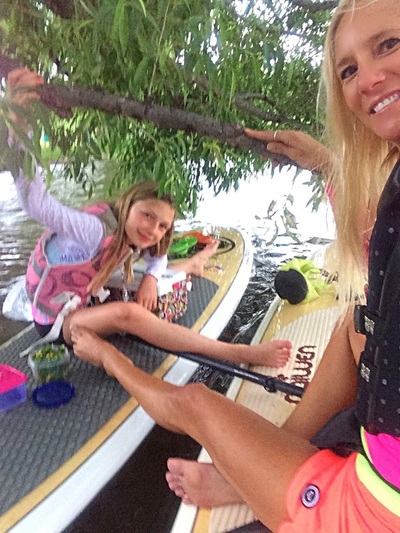 Q: What are your 3 favorite SUP yoga moves? A: I love hip openers, so a good half pigeon on the board feels so good. I dig the challenge of a water warrior. And Savasna. I have a yogi shirt that says "I'm here for the savasna", and to me it's even better on a paddle board. Laying flat on a board while the waves rock you to sleep is like nature's lullaby. 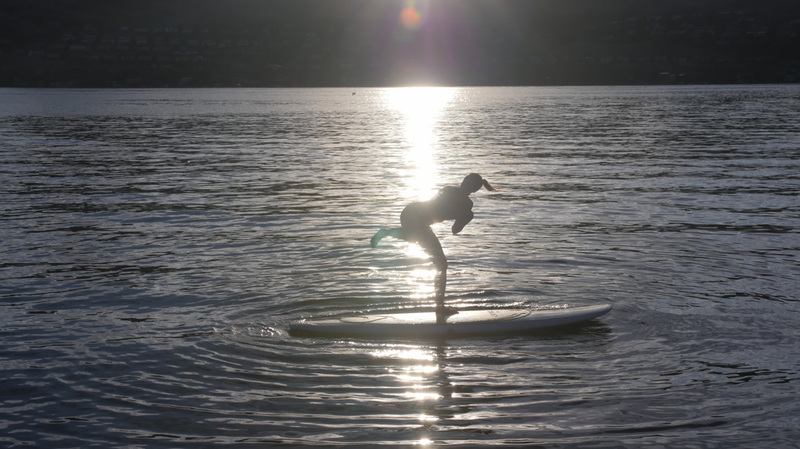 One of the best things about SUP yoga is that it brings you back to a basic practice. Please take a breath, relax, slow down with us for 2 minutes as you watch this lovely floating montage. 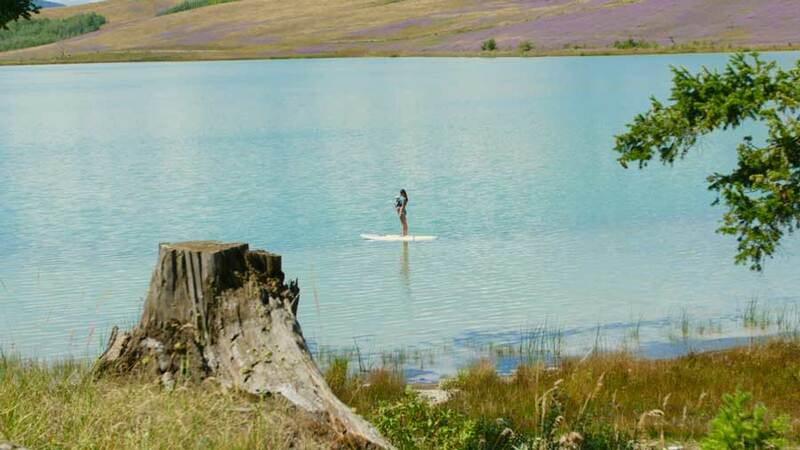 Imagine just you and your best friend, nothing else around, as water laps up against your paddleboards. You’re resting after a beautiful ride, sharing stories, enjoying each others company.